Larijani brotherhood will run the Iranian judicial power and affairs for the Leader in many years to come. No one is shielded from wrongful arrests. The judicial power is run by one Ayatollah Sadegh Larijani. His brother, Ali Larijani is the speaker of the Parliament (Majless). Another brother is charge of covering up the human rights violation of the régime. 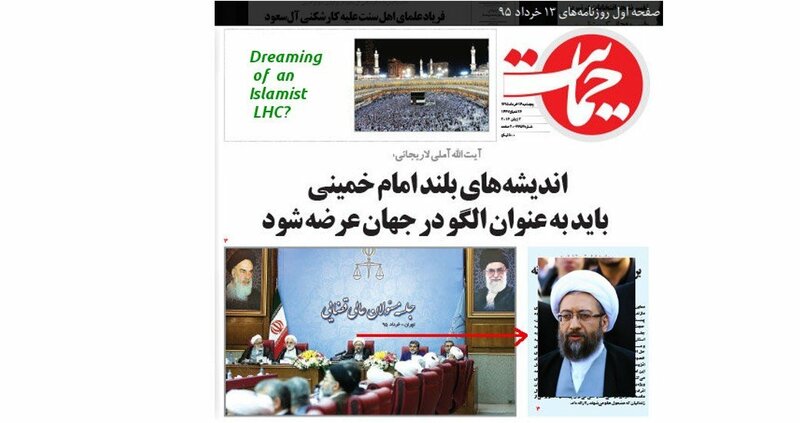 Among all the rags published in Iran, one is the herald of the judicial power, Hemayat paper. This power that enforces the Iranian Revolutionary dogma, has nothing to do with justice/fair trials/arrested and prisoner’s rights. Its main craft is the tracking the imaginary enemies of the Iranian theocracy, oiling the executions machinery, keeping the arrested uncharged in solitary confinement, hiding the dual-nationals in remote provincial prisons and holding monkey trials in which the judges and prosecutors are his in-laws and the defence lawyer has no proper access to the case/evidence and often ends up in jail too. “The great ideas of Imam Khomeini must be presented as models to the world”. After all, the Iranians have found these things to their tastes for the last forty years. The Khomeini’s legacy runs the country. They have built their life in a cloud of lies and corruption, called complaisance. Those who hated the legacy have taken refuge abroad, where the Iranian theocracy dreams of enforcing it. Larijani much extended family will run the Iranian judicial power and the Iranian affairs for the heirs of Khomeini for many years to come. Too bad that the Iranians are even less likely to build an opposition power to the ayatollahs that a simpleton has the possibility to solve an integral. 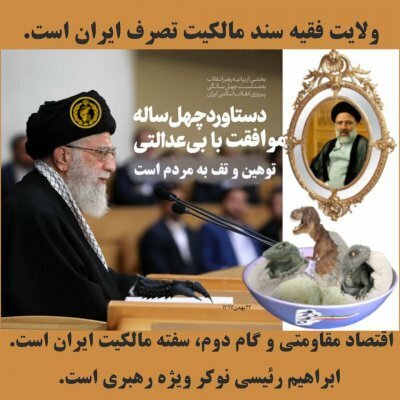 The media, including those published in the most democratic parts of the world, told us that elections of the “moderate president” Hassan Rouhani and later the parliamentary “reformists” deputies will open Iran to the world. Ridiculous.